Depression is a serious condition that affects millions of people. Low self-esteem is a natural part of human development, as we are conditioned from a young age to seek approval and validation from others. The majority of people judge themselves by whether or not they’ve pleased others – and anytime someone responds to them with disapproval, they internalize these feelings until they become a part of who they are. It is important to recognize that our value comes from within and enables us to remove ourselves from this dangerous cycle, which encourages feelings of anxiety, worthlessness, and depression. Negativity is a part of life, and in order to heal and grow, it is necessary to stop internalizing every bad situation and accept life on its own terms. However, for some, who judge themselves harshly and take negativity personally, breaking this cycle can be extremely difficult. It can be incredibly tough to watch a loved one suffer from depression, and it is not always obvious how you can help. As a result, your own feelings of helplessness and guilt can often become overwhelming. But depression is treatable – and your ongoing support can help your loved one overcome their paralyzing feelings of sadness. Depression usually arises when people personalize the negativity around them. Rather than accepting that bad situations and disapproval are unchangeable parts of life, people who suffer from depression will internalize each bad situation until they lose all of their value as individuals. Although from an outsider’s perspective it can be easy to recognize this pattern – it is important to never imply that your loved one is at fault for how they feel. We have been conditioned from an early age to believe that our value is determined by the approval of others and it can be extremely difficult to change the way we think. Rather than judge your loved one, which will only compound their symptoms, let them know that you recognize and understand where they are coming from. Changing the way we have been conditioned to think since childhood can be extremely challenging. Be patient with your loved ones and understand that this process can take a long time. Your patience lets them know that you will be there, no matter how long it takes for them heal. Minimizing or discrediting a loved one’s pain can invalidate and devalue their emotions. 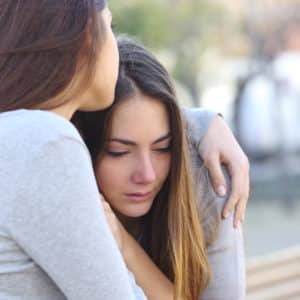 Let them know that you appreciate their feelings, and create a safe space for them to share their sadness with you. When a loved one is suffering from depression they may feel like even the simplest task is pointless. Praising their small daily achievements will help them regain their sense of accomplishment and feel more motivated to take on larger tasks and resume their regular routines. Understanding the causes of depression will encourage empathy. When you educate yourself about its origins you’ll be less likely to minimize or discourage the pain that others are experiencing. Additionally, learning the symptoms of depression will help you recognize its often imperceptible signs, and allow you to offer your love and support from its earliest stages.